Hey, I almost totally forgot to post these Fate Core characters for my games at OrcCon this Sunday, F1: Expedition to the Sinister Temple of the Reptile Cult on the Borderlands and F2: Descent into the Tower of the Silver Demonweb at Dunwater! So here they are. Enjoy picking them apart, if you're the kind of person who does that. On that note, I should mention that they're not, strictly speaking, by-the-book Fate Core characters. They're more of a product of hacking Atomic Robo. But Atomic Robo's built on Fate Core, so... it counts! And don't forget, I'm running Atomic Robo Saturday morning -- a scenario I prepared a couple months ago but never ran called Atomic Robo and the Invaders from Mars. Here are those characters, too, if you want to see them. Oh, how's Atomic Robo coming along? Well, thank you. Getting stuck in the canonic character write-ups now, in between prepping for the weekend's gaming. Brian Clevinger, as I may have mentioned before, kindly wrote brief bios for close to 30 characters from the pages of Atomic Robo, some of whom had never before been given anything more than a name and a face. Now we know all about 'em! I'll post a few of those next week -- they're fun. Also coming soon: info on Fate games I'm running at Emerald City Comic Con! Stay tuned! Now I will slowly go insane picking these fantasy characters apart, trying to figure out just what they're all about. The columns on the skill pyramids are super fascinating. I'm assuming some of this will become more clear when the "Atomic Robo" release occurs? Yeah, this hack uses skill modes from ARRPG. I'll explain it more after OrcCon. Incidentally, this particular hack will be in the Fate Core Toolkit, so... there's that. I've been hacking the character sheets all day long too. I would love to use FATE for fantasy more (I love LoA, but I would love a Fantasy FATE Core game), and this sheets look really intriguing. So, red and blue dice? Is that a new thing? Good question. What is the red and blue? Are they just bonus dice, so you end up rolling more dice like 6DF instead of 4DF? Are they "better" dice. Eg. red can only provide a bonus, when attacking and if a negative comes up ignore. And blue dice are for defending? Wow, they are +5 so they are high lvl. Chars already, no? This is whats nagging me about playnig D&Dish games with FATE. You cant really start as low level going all the way to Superheros, cant you? By default, Fate Core embraces a different paradigm than old-school D&D does. Advancement isn't nearly as big a deal. Change can happen after every session, in the sense that you can swap out an aspect or a stunt for another, but not the constant acquisition of more power, simply because Fate Core treats PCs as protagonists in a story, and that sort of thing doesn't happen a whole lot in fiction. So these aren't "high-level" characters; they're starting characters, and about as capable as the average starting ARRPG character, magic-stuff notwithstanding. Now, it's certainly possible to start PCs with less raw power -- lower skill ratings, fewer stunts, etc. 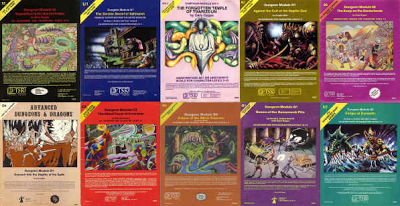 Both DFRPG and Starblazer Adventures/Legends of Anglerre make allowances for that. These characters are really awesome. Would it be possible to explain how exactly you made their stunts, spells, favor and all that? I would LOVE to bring some of these ideas into my own games.